Researchers with USDA's Agricultural Research Service (ARS) are examining whether a cropping system that uses molasses to stimulate microbial activity could be used to replace methyl bromide. They also are studying recently developed fumigants. ARS scientists Erin Rosskopf and Nancy Kokalis-Burelle and former ARS research associate David Butler raised bell peppers and eggplant at the agency's U.S. Horticultural Research Laboratory in Fort Pierce, Florida to test a combination of composted broiler litter, molasses and anaerobic soil disinfestation (ASD). In ASD, topsoil is saturated with water and covered with a plastic tarp. 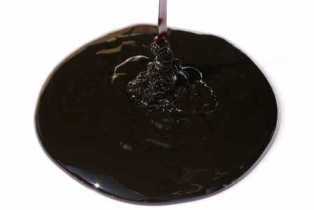 Then, a carbon source - in this case molasses - is added to stimulate microbial activity. The scientists found nematode populations were reduced when treated with molasses and poultry litter, that molasses and poultry litter controlled grass weeds just as well as methyl bromide, and that the solarized treatments heated the soil to levels that were at or just below levels that are lethal for many soil pathogens. For more detailed report click here. If you have any questions about this newsletter or any other topic, join me this weekend for my Dirt Doctor Radio shows.